Organizations today have sensitive data spread across on-premises and cloud based platforms. This present a major challenge for IT to ensure data integrity and security. NC Protect (formerly Security Sheriff) is both content and context aware to automatically find, classify and secure unstructured data on-premises, in the cloud and in hybrid environments. It protects against breaches, sensitive data misuse and unauthorized file access enabling enterprises to fully take advantage of the intelligent workplace. NC Protect dynamically adjusts file security based on real-time comparison of user context and file content to make sure that users view, use and share files according to your business’ regulations and policies. 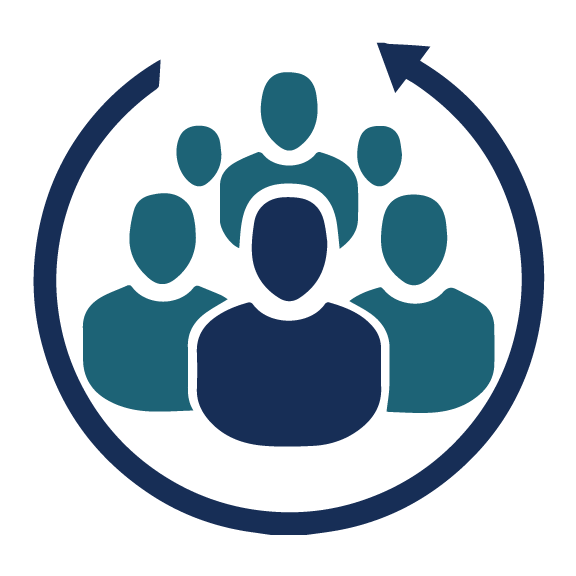 NC Protect helps enforce compliance and data security policies for privacy and confidentiality, intellectual property and trade secret protection, data loss prevention, enterprise social communications, PII and PCI compliance, HIPAA requirements, and other governance factors. It ensures data compliance and security by continuously monitoring and auditing data and documents against regulatory and corporate policies to protect against data breaches, unauthorized access and misuse. The platform is fully integrated with Microsoft Office 365, SharePoint, files shares and more. 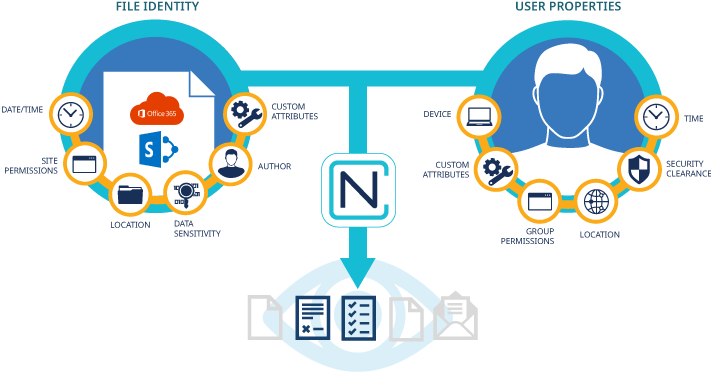 NC Protect dynamically adjusts file security based on real-time comparison of user and file context to make sure that users view, use, and share files according to your business’s regulations and policies. It secures files at rest without the overhead of complex user permissions and encryption, ensuring that the data is protected at the time it is used or shared. It restricts usage and visualization of data based on the file’s classification and the user’s current location, device, and security clearance, automatically encrypting it when the data leaves the safety of the corporate file system. 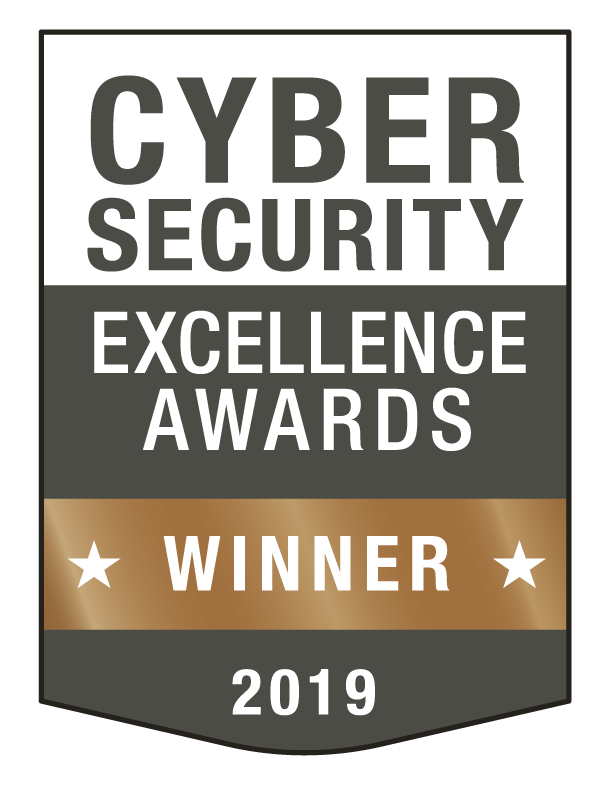 NC Protect offers a centralized and cost-effective data security solution to ensure compliance with regulatory and corporate policies and protect against breaches to mitigate risk. Automatically restrict access to and encrypt content based on the presence of sensitive data including PII, PHI and other confidentiality factors. Detect potential violations and initiate workflows to remediate and minimize risk. Utilize granular security to more effectively control access to and the distribution of sensitive data. Provide audit trails and forensics to track access to sensitive data, ensuring transparency and accountability. Protects content on-premises, in the cloud and in hybrid environments including Microsoft Office 365, SharePoint, and files shares.